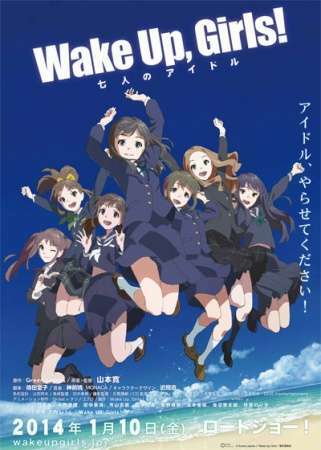 In Wake Up, Girls! Green Leaves Entertainment is in the worst situation any Talent Management Agency can be in... they have NO talent! Desperate for an act, President Junko Tange targets the idol singer market and gives her flunky Matsuda his marching orders: get a girl group to manage, even if it means building one from scratch! Since complete singing groups rarely appear out of thin air, Matsuda's now in the difficult position of having to find girls with the right skills who don't already have contracts with Japan's music industry. That girl at the Maid Café? Good enough! A lead singer who's been fired from another group? Sure, why not? How about one who's only 13 years old? What could possibly go wrong there? They may not be on the A-list, the B-List, or even the C-list to start, but with a little love and a whole lot of hard work, it's possible that all Japan may someday wake up to the music of WAKE UP, GIRLS!